Marking the closing of Black History Month, LABA alumnus Kendell Pinkney condemns the habitual pigeonholing of him as Jew of color, and calls for a thoughtful conversation around how Jewishness intersects with various forms of otherness. When the email landed in my inbox, I groaned aloud. I immediately began pacing about my small Crown Heights living room; all the while, peals of antiphonal protest fluttered about my head: “Oh, Hashem. Why me? Why me?” Sure, the line at the end of the email softened the blow of the request, and would “let me off the hook,” but in my full-blown self-consciousness, I knew the score. Why me? Because I am black. I am an artist (and on a good day, I feel like one, too). And, of course, I was part of LABA’s 2015-2016 season which explored the theme of physical beauty as found in classical Jewish sources. Throughout that year in LABA, our cohort studied a variety of stunning texts, filled with lofty ideas and deeply flawed, complicated, and often comical characters. Many of the other creatives in my cohort discovered motley ways to spin the ideas of our study sessions into fascinating artistic experiments. As for me, I had decided to write a play, Bread of Heaven. Titled after a Christian spiritual that I used to hear at my grandfather’s church, this play explored the more intimate, complex racial/religious reality of my journey from growing up in a black megachurch to my conversion to Judaism. 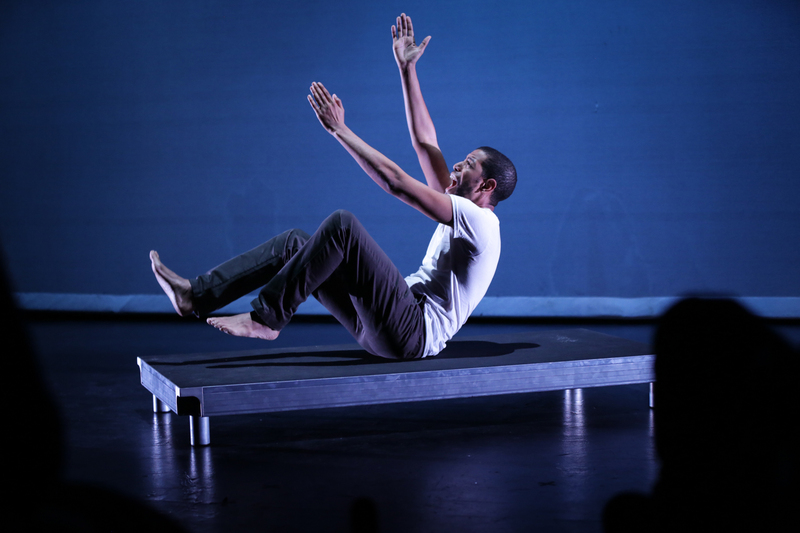 With all of that context in mind, it was clear why I had been approached: by exposing myself and experimenting with the messiness of my identity/ies on a public stage, I had presented myself as an artist who thinks about race and its intersection with Jewishness. But I found it strange that had unwittingly established myself as a “race writer” in the eyes of some. As an artist of color and a Jew, I feel as if there are so many ways to get dragged into certain conversations about art and race. First you are asked to write a piece on race and Jewishness, then you are asked to be on a panel discussing race and Jewishness, and then suddenly you are profiled in the Jewish Week for “Telling the stories of Jews of Color,” despite the fact that there are droves of Jews of color who have been telling their stories for far longer than I. As flattering as these requests and recognitions may be, in the end they leave me wondering, “What room is there for me to exist as my full self?” Indeed, I am an artist who occasionally explores race, but I feel equally compelled by the kooky erudition of Tom Stoppard’s plays and the sublime mystical depths of Kabbalah in Ruby Namdar’s The Ruined House; the majestic medieval visions of Hildegard von Bingen leave me breathless, and the bracing poetic honesty of Rebecca Solnit’s works leaves me deeply moved. By the same token, I will gladly “wild out” to Kendrick’s latest album while on my way to a solo brunch where instead of focusing on my eggs-nova, I savor every elusive, syllabic morsel of Nathaniel Mackey’s Splay Anthem, all before washing it down with a double-shot of Ryan Coogler’s masterful Black Panther. And now as I pause to look back at the list of works above, I feel as if instead of citing my apprecation for these works, I am proving the bona-fides of my blackness, my Jewishness, and my liberal arts education. This leaves me to wonder, much as I did in my LABA piece, Bread of Heaven, Where am I in the midst of this? Where is my home? Who am I doing this for? And even more importantly, For whom, or for what reason, do I create art? So once again, I arrive back at the question of that email. Well now that I’m several hundred words in, yes, I am interested. But what does my reflection really accomplish? Does it bring about greater understanding between black folk and Jewish folk? Does it add a feather in LABA’s cap, or a feather in my cap to be published on this topic? The questions are endless. However, if I’m being completely forthright, all these questions point to a deeper, more perplexing question: without my connection to the black American experience and my present proximity to the centers of New York Jewish life, would either of the groups that I hold so close to my heart be able to cross that imagined buffer that separates their lived experiences? 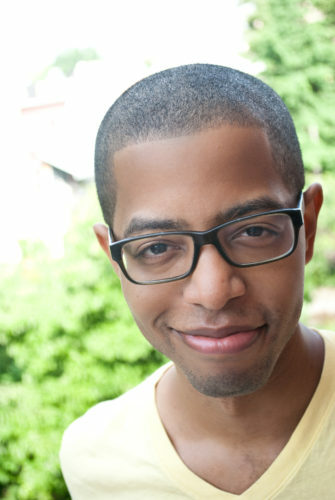 Kendell Pinkney is a Brooklyn-based Jewish-life and education professional, theater writer, and JTS rabbinical student. A graduate of Oberlin College and New York University’s Graduate Musical Theater Writing Program, his work has been performed and/or developed at venues such as 54 Below, Two Rivers Theater Company, and Joe’s Pub, to name a few. 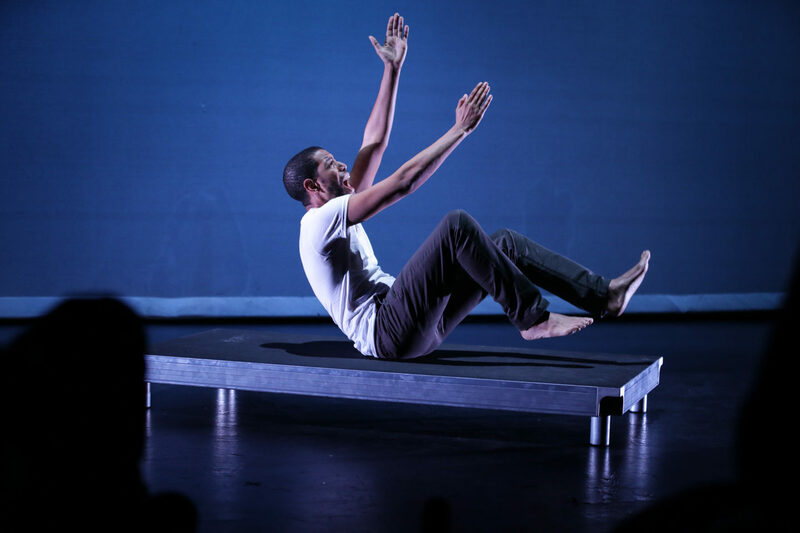 Named one of the Jewish Week’s 36 Under 36, Kendell was most recently honored to be a 2015-2016 Fellow in the 14th Street Y’s signature LABA Fellowship, where he began developing a loosely auto-biographical music-theater work that uses the Book of Ruth to explore issues of race, beauty, and conversion.